Marketing programs designed to indirectly impact demand such as branding campaigns, social and display media are one of the easiest ones to get questioned by organization leaders. The key reason being these programs cannot be directly attribution to revenue creation activities. In this show, we will walk through the steps you can take to build the infrastructure, setup measurement techniques and hack your lower performing marketing channels to produce results. Every organization has this pretty common issue where they have their unique internal definitions for ROI measurement of campaigns and programs. Some organizations use 12 months revenue for ROI calculation and some look at the entire end customers lifetime and some only look at the return of that specific program in that month. This makes it harder to calculate the true ROI specifically for lower performing channels such as display or social media. 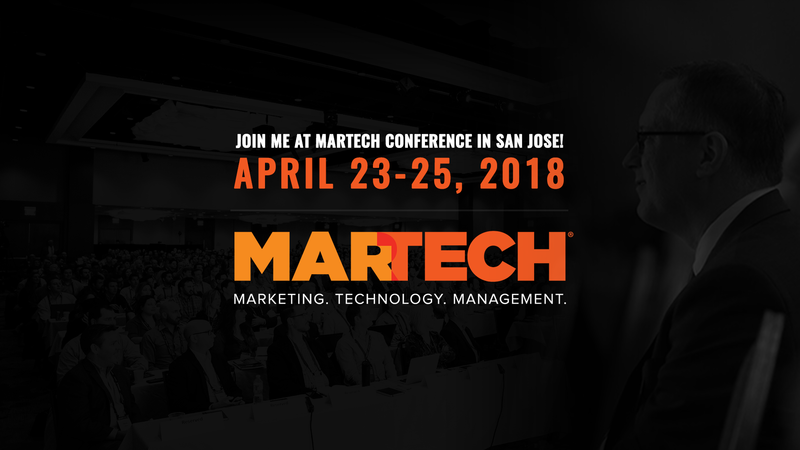 We will address the issues later and before we discuss the steps to hack the low profile programs let’s discuss the marketing technology (MarTech) set up because to be a hacker you need to have the right tools and the technologies. Let’s start with the lowest-level or the entry level setup and discuss the technology infrastructure up to the highest level. The level 1 is the foundation level and it includes the base digital analytics, web personalization or AB testing platform. For an analytics organization to effectively manage your digital performance you need is a basic web analytics or digital analytics platform combined with testing and personalization capability so you can personalize your visitors journey. Few popular digital analytics platforms are Google Analytics, Adobe Analytics, Webtrends and IBM customer analytics. For AB testing and personalization there is Test and Target from Adobe, Google’s latest Optimize platform, Visual Website Optimizer (VWO) and Optimizely. Once you have established your level 1 analytics platforms and you are collecting data, providing digital reports, performing actionable insights, it’s time to move up a level. For example, if you can set up the reports to measure your traffic and conversions and you are able to personalize user’s digital behavior then its time to progress further. Level 2 is the category of your secondary level analytics platforms to support your campaign activities measurements, program performance, data management, and marketing automation. Most of the operational analytics and all the media program and campaign analytics will fall under level 2. Tools such as MediaMath, Acxiom, Lead Lander and Ringlead fall under this category. Marketing automation tools such as Marketo and Pardot also belong to this category. Apart from SalesForce which is a category 4 technology, there are some smaller new marketing automation focused CRMs such as LeadSquared.com that does not requires too much configuration. These new Marketing CRMs also belong to level 3. For smaller organizations on tight budget we would highly recommend using simple marketing automation or marketing CRM tools before investing in Marketo or SalesForce. For marketing campaigns, few popular ones are Salesforce Marketing Cloud (Formerly Exact Target), Adobe Marketing Cloud and IBM Watson Marketing. Next is level 3, where we start getting into more advanced technologies. Forecasting, predictive analytics, advanced attribution and journey analytics fall under this category. Popular cloud based analytics platforms are BigML, IBM Watson Analytics and Amazon ML. Then you also have your data forecasting and visualization technologies such as Tableau, IBM Cognos and several other BI level tools. Advanced attribution technologies such as Bizible and Fullcircle Insights also belong to level 3. Finally, level 4 which is the top most level of your marketing technology stack includes advanced CRM technologies such as SalesForce and DataWarehouse technologies such as Amazon Redshift. CRM can very well fit under level 3 or sometime in level 2 but due to the complexity that comes with a tool like SalesForce it makes more sense to list it under level 4. Level 4 use cases are micro segmentation, data insights to drive innovation or business expansion, revenue growth, category or industry expansion and similar larger projects. Since we have done this set up and discussed the typical marketing technology levels its time to discuss start hacking our marketing programs. Lets start with the top and address the issues at the top of the demand funnel. There are three major layers of any demand creation funnel. Top of the funnel (visitors, site traffic, foot traffic), middle of the funnel (engagement, downloads, lead form fills, add products to shopping card) and the bottom of the funnel (complete transaction, close won deal). For the top of the funnel, we are specifically talking about digital marketing efforts that drive traffic to your website from all the different marketing programs. Popular marketing programs includes banner ads, emails, social media and search advertising. Common top of the funnel issue are not getting enough traffic or traffic is not trending in the positive direction or specific marketing channels are not driving enough traffic. Another recent issue is mobile traffic is surpassing the desktop traffic. To hack this issues, first task is to look for a long-term digital traffic or web traffic trends. 18-24 months is a good time frame to review how your traffic is progressing. Then add seasonality to the trend to understand your industry’s or your customer’s buying patterns. Organizations have a different seasonal impact on their business depending on how they structure their calendar and revenue cycles. Typically we see a drop in December holiday season and we also see some drop in June and July atleast in the North America. Finally, drill down into specific channels and programs to see if you can isolate the programs with issues. If you just review the digital traffic data as a whole you are not going to get a lot of insight. You want to drill down and see which part of the traffic is getting impacted. The drill downs and segmentation can help you identify the channels or the web pages or web sections or mobile sections. This type of analysis will help you develop a strategy to fix the core issue or atleast put together a plan to fix it. Next, we will spend time investigating issues impacting the middle of the funnel i.e. prospect engagement or opportunity. Some of the specific middle of the funnel issues are marketing qualified leads not moving quickly to sales qualified leads, leads not converting to opportunities, users are removing products from shopping carts, emails not getting delivered to inbox. To hack this issue our first recommendation is to take notes as you are working towards a solution. Your notes or checklists will help you resolve similar issues in future. Plus, it’s a good practice to write all these different tactics and things that you checked so you can go back and check those same things again. It saves a lot of time and resources. There are several ways to the hack middle funnel issues so let’s discuss a key method that consistently works well. First, measure your conversion points from the top of the funnel i.e. web traffic to middle of the funnel i.e. lead/engagement. Second, measure the conversion from middle of the funnel to the bottom of the funnel. Measure your entire funnel conversion for atleast two earlier time frames preferably 3 months and 6 months in past. Your historical funnel conversion metrics will become your benchmarks. Then, identify the gaps in current conversion and historical conversion benchmarks. Notice if there is a drop in conversion from traffic to lead gen or led gen to opportunity creation or product addition to the shopping cart. Once you have a laser target focus on the conversion impacting source you can drill down and separate technical and nontechnical issues. For example, a user can abandon the shopping cart as they are not able to update the products in the cart (technical issue) or they are not sure on the product prices (non technical issue). For technical issues, escalate to your IT or web team to get it fixed. For non technical issues, have your product marketing teams review the pricing details page. Finally, we are going to hack the issues impacting the bottom of the funnel. When users add a product to the cart you want them to complete the transaction. Similarly, if sales team creates an opportunity your goal is to help them close the deal. Some of the issues you may experience at this stage are users are facing payment issues, sales team is not armed with enough material to close the deal or they don’t have a strong competitive value proposition. There are many different action items you can take and the first step is to identify velocity or the duration between start of the process to the end of the process. For example, you can measure how long it takes for you to go from the opportunity creation to closed won deal or from adding products to shopping to and completing the sale. Does it happens in few minutes, hours, days or months . Once you identify the stage velocity and then identify the macro the micro steps between those conversions you will be able to fix the underlying issue. Macro conversion is your ultimate goal which is completing the sale where as micro conversions could be getting users to the payment page on your shopping cart or moving the opportunity to the proposal stages. Your goal is to identify the real issues vs the industry average for your products and services. You can also leverage tools and technologies to diagnose website conversion issues or the underlying issue that you don’t see from your naked eye or your analytics. Tealeaf or Clicktale are two tools that can replay your users digital journey. These tools they allow you to replay the entire session of your customers on the website or on the mobile site and inform you on users progress. Hope you enjoyed this podcast and blog post. Happy hacking!